Welcome to the official Dave Matthews Band charity ticket auction site where we will be auctioning reserved tickets for the Dave Matthews Band 2019 Tour. All proceeds for this auction will benefit the Bama Works Fund. 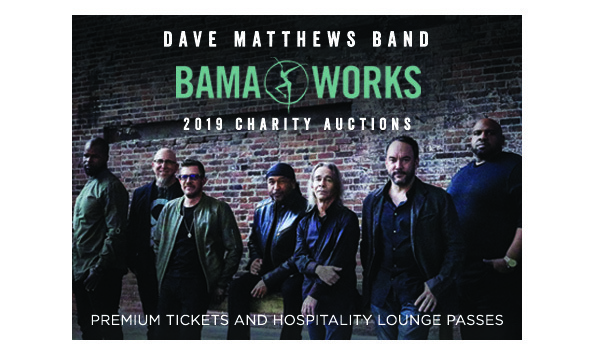 Bama Works Fund was established by Dave Matthews Band to carry out the band's commitment to charitable works, both close to home and worldwide. From the Amazon Rain Forest to community parks, Bama Works has given to numerous non-profit organizations, community programs and charities.